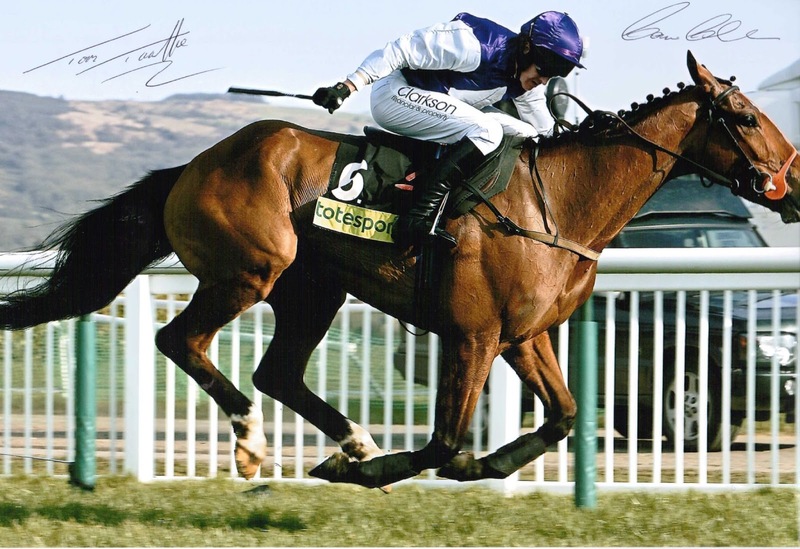 The 2005 Cheltenham Gold Cup, sponsored by Totesport, featured 15 runners and had the distinction of being run, for the first time, on a Friday after a fourth day was added to the Cheltenham Festival. 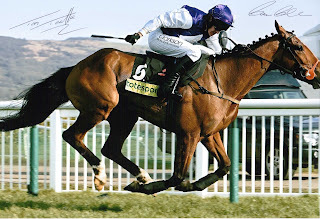 The original ante post favourite, Best Mate, who’d won the Cheltenham Gold Cup in 2002, 2003 and 2005, was withdrawn a week before the 2005 renewal after breaking a blood vessel during his final gallop at home in Oxfordshire. In his absence, Kicking King, trained in Co. Kildare by Tom Taafe and ridden by Barry Geraghty, was sent off a well-backed 4/1 favourite to become the first Irish-trained winner of the Cheltenham Gold Cup since Imperial Call in 1996. Kicking King, himself, had originally been withdrawn from the race two weeks earlier, only to be reinstated by Taafe after recovering from illness. In the race itself, Grey Abbey, ridden by Graham Lee, and Sir Rembrandt, ridden by Andrew Thornton, led the field a merry dance for much of the way, but the race began in earnest when Kicking King took the lead at the third last. The one question mark over Kicking King, the King George VI Chase winner, was whether or not he’d stay the extra 2½ furlongs of the Cheltenham Gold Cup, but his supporters never really had a moment’s worry. The 7-year-old was challenged, briefly, by Take The Stand, ridden by Tony Dobbin, at the second last fence, but ran on strongly on the run-in to win by 5 lengths. Sir Rembrandt plugged on to finish third, a further 8 lengths away.